As I mentioned over at the serial's site, the Duo are now on hiatus while I work out the next few episodes. They will return in September. I'll post the exact date on this blog sometime in mid-/late-August when I think I'll have a better idea. So for those of you keeping tabs, check back here around then and I'll have the proper date for y'all. Okay, mah fellow readers. I know there are a few of you out there in the Interwebs who follow this humble blog. What would you like for me to talk about here? I wait to hear from all-y'all. Ten years since. Dork Tower seems to say it best. Fellow writer Hillary Jacques sent in this great pic. Yes, folks. It's that time of the year again. Check the site for all the details. Then use their Store Locator to find your nearest comic book shop (I'm surprised you don't already know this, but you may have just moved so I'll give you the benefit of the doubt) and head on over. The sequence with the serpent in the water reminds me of a Frazetta painting, but that's just me. As I said before, I hope they don't screw this up. 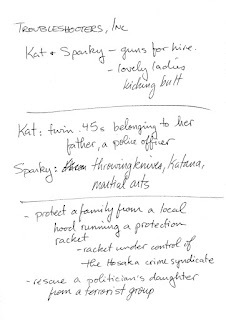 Below, notes on what later becomes "A Family Affair." 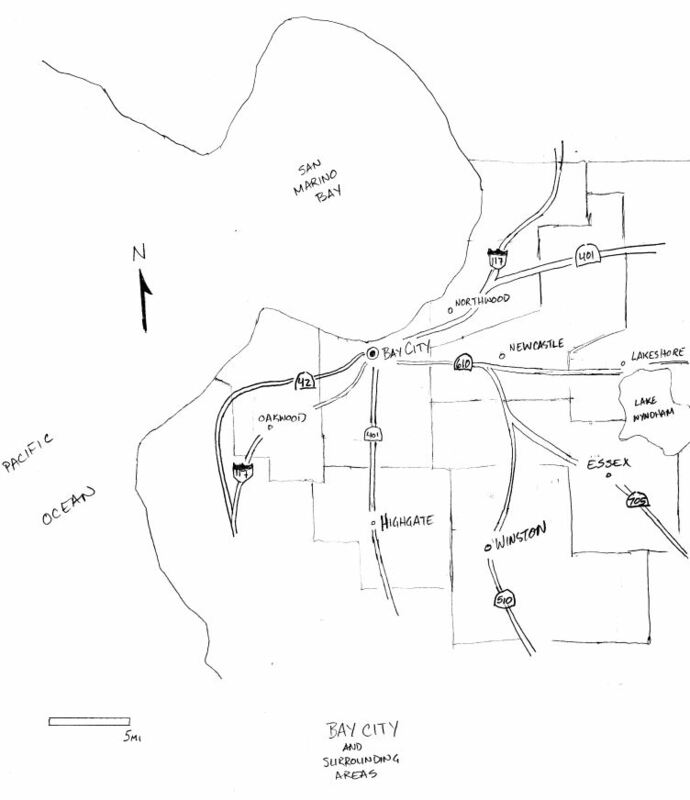 Slight changes when compared to the finished story, as is usually the case. Isabella is no longer a granddaughter but a daughter. 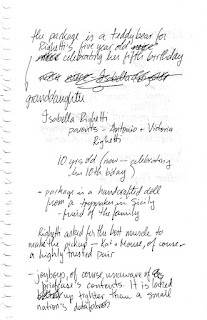 And "Antonio Righetti" became "Vincent Righetti." Here, plot notes on "Price of Vengeance." 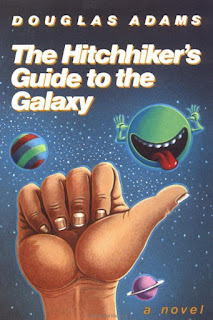 The above was a process I borrowed from J. Michael Straczynski, from his The Complete Book of Scriptwriting. 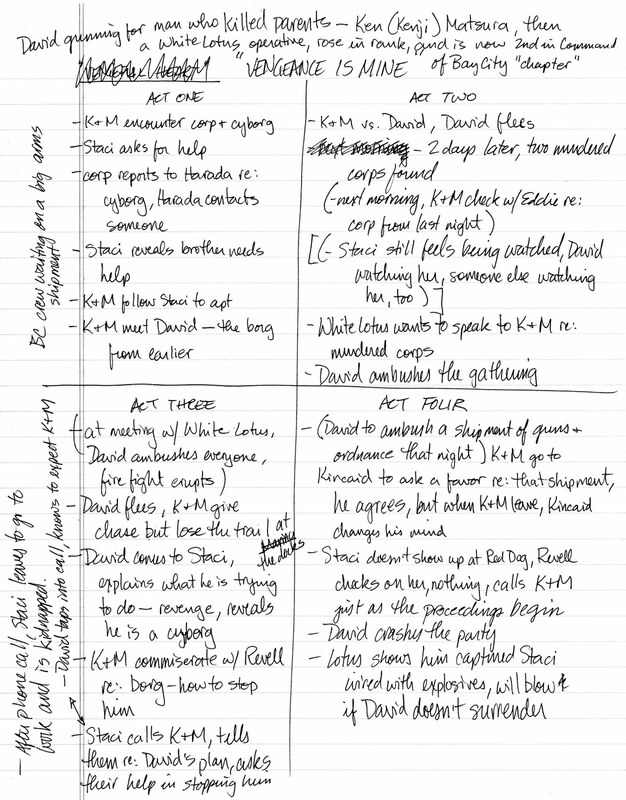 JMS breaks down the writing of a TV episode this way: You take a legal pad and draw an equilateral cross in the middle, dividing the page into four areas. 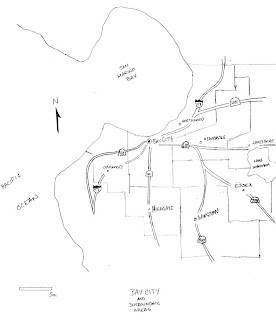 The four areas are labeled "Act One," "Act Two," "Act Three," and "Act Four." 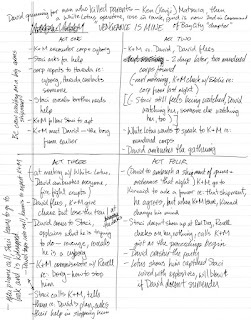 Then in each act, you lay out the major beats of the story, roughly five or six per act. 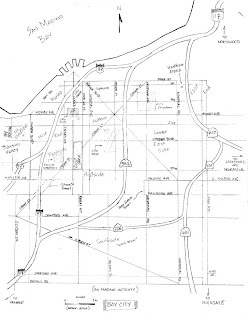 I've found that if I fill in all the lines in each quarter-page section...it times out exactly right when i get to outline and script. 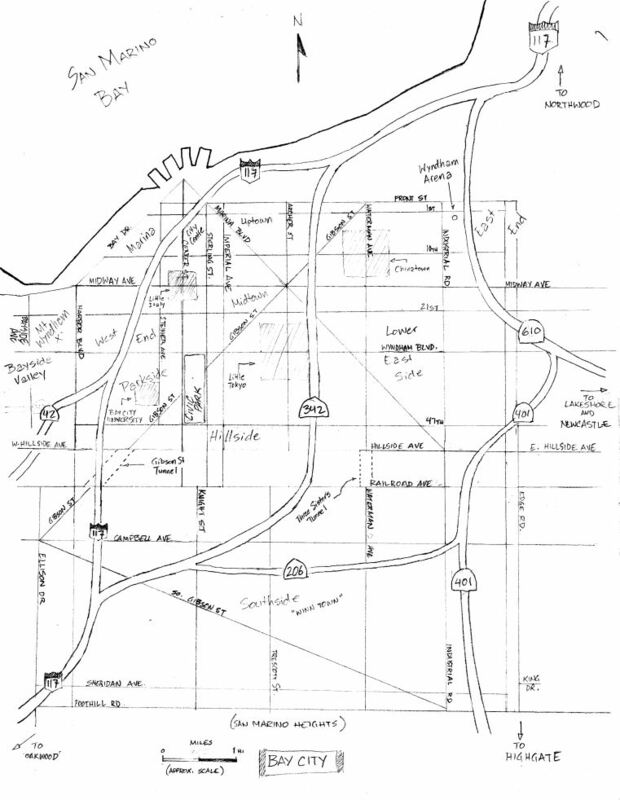 As you can see, there are a number of changes from the planned story to what eventually becomes "Price of Vengeance." 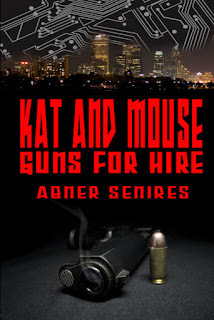 One winner will get a signed copy of KAT AND MOUSE, GUNS FOR HIRE. Open to US/Canada folks only. Entries must be received by Midnight PST on May 5th. The winner will be announced on the blog between Noon and 3:00pm PST on Friday, May 6th. 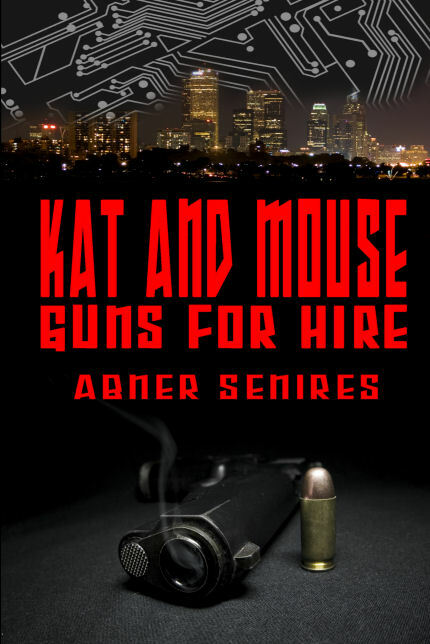 I got the idea for Kat and Mouse while reading a Gunsmith Cats graphic novel one day. I wanted to create something along the same vein. 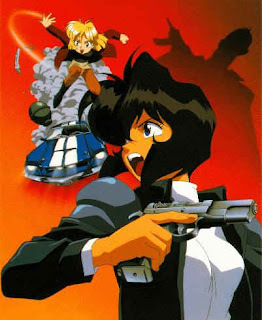 Something that was part buddy movie, part action-adventure, with strong female leads and fun banter between the characters. 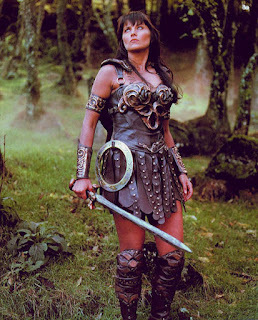 So my thought process went something like this: "Xena is set in a mythic past. 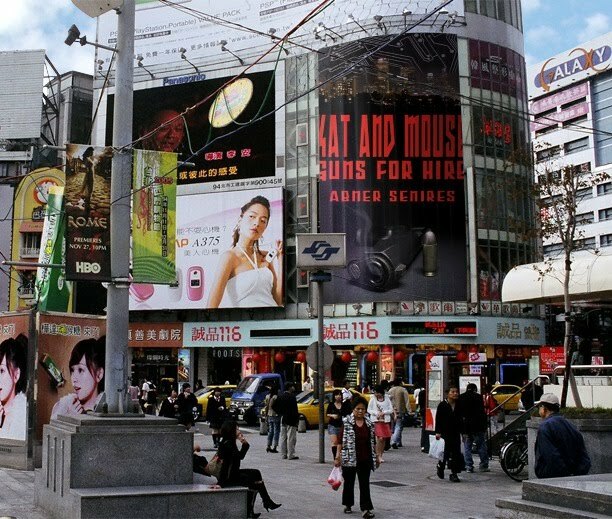 Gunsmith Cats in modern-day Chicago. 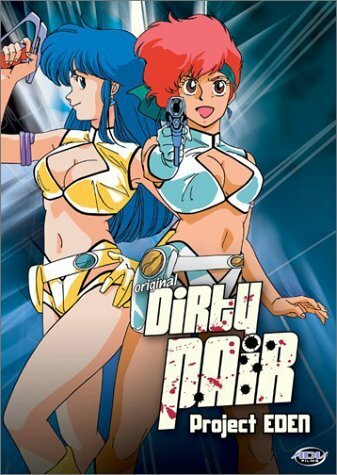 Dirty Pair in the far future. What about the near-future? The cyberpunk world?" Enter Kat and Mouse: Guns for Hire. It's written on the back of a computer printout dated 1996. As you can see, Mouse had a more "lively" name at the time. Originally, the duo was supposed to operate as a private security firm: Troubleshooters, Inc. Somewhere in the creation, the private security firm idea got shelved and the duo turned into freelancers. Closer to the pair we now know. Yes, Kat started off having a name. 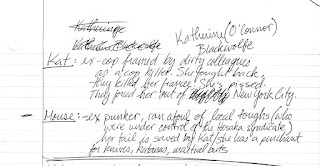 I originally through that it would be a shortened form of her first name (Kat for Katherine). She also chose a new last name (Blackwolfe) after leaving behind her past (O'Connor). Same with Mouse. Handle, no further references to her real name. Tomorrow: The inspiration for the Ladies. 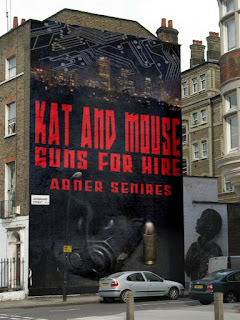 KAT AND MOUSE, GUNS FOR HIRE is out and available! Get a print copy at Amazon, Kindle version at the Kindle store, and various formats for other ebook readers over at Smashwords. Keep tuned to the blog this week as we unveil some fun stuff for you! Now let's party, pun, and sing showtunes!